Is Something Wrong with Your Prints? Do your prints show a series of misprinted parallel lines? Do they have uneven edges? Or are some inked areas very light or missing altogether? You can’t afford much press downtime while troubleshooting multiple issues. 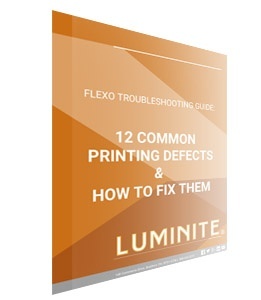 This guide helps you to quickly pinpoint the flexographic printing defect to the problem and begin working toward quality solutions. Fill out the form to the right to get your free guide!